Twice a year, we photograph the winners for Alaska’s Best Kitchens. This edition featured L-shaped kitchens. Wraparound kitchens. Kitchens with enormous islands. Kitchens with absolutely no island. Some people who went light and bright… and others who opted for darker tones. There’s Hollie Ruocco of Creative Kitchen Designs, who solved homeowners’ issue with their closed-off kitchen by removing an entire wall. Then topped it off by adding some beach flair. Homeowners who managed to not only solve the problem of their previous kitchen’s dreadful layout but do so on a budget – while also turning part of the space into a home office! The married couple in Anchorage who solved the unenviable problem of having a kitchen with only a single window. They scoured the area for light toned materials and got creative with LEDs. 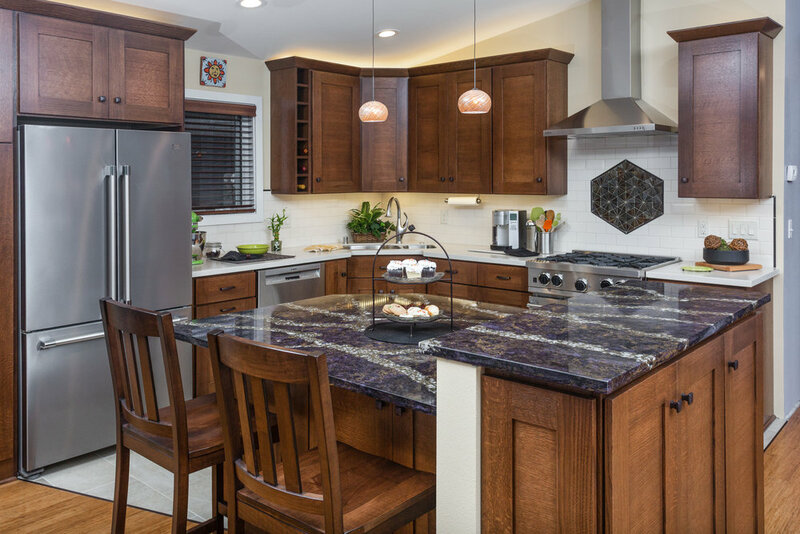 Danielle Bohn of Dura Supreme Cabinets, who followed the homeowners’ initial request by providing them with a design that didn’t “change the basic footprint”… but also included a second design that involved some bigger structural changes – which they naturally fell in love with. Kevin Clarkson, who refused to be trapped by the cramped area of his original space and – wait for it – managed to transform an exterior deck into his new kitchen. Yes, we were suitably impressed. So there’s a lot of variety to be found in the contest winners – not to mention some great stories about how each of them did it. Congratulations to all the winners on a job well done!